Good Morning to my Crafty Peeps. Today I am sharing a card made using a set from the NEW RELEASE!! 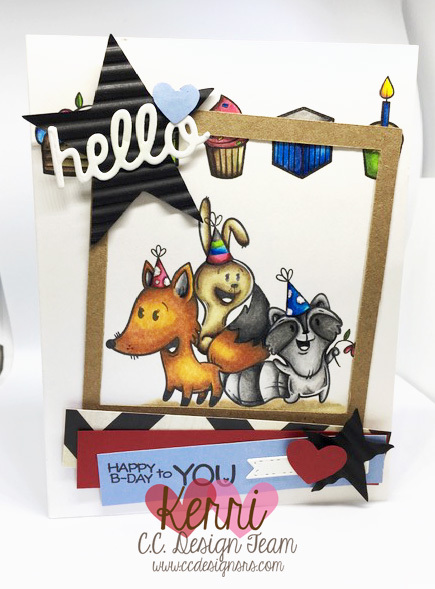 Forest Creature Birthday Is what I used to make this adorable birthday card!! I just love this stamp set. 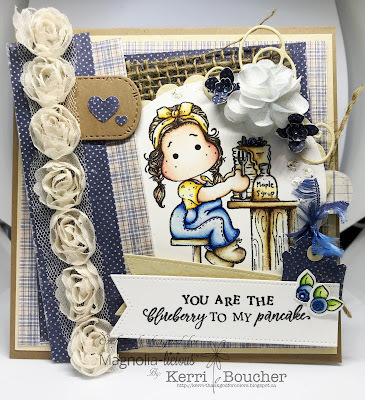 I also used Quad Collage Die which is another one of my FAV Die Sets. I stamped the various Images directly onto the card stock and colored them using Prisma Pencils!! I also added some Stickles onto the Birthday Hats!! If you click on my links they will take you over to the C.C DESIGN STORE. Thanks again for stopping in have a great day!! Secure the card base and then secure stencil so that nothing moves on you! 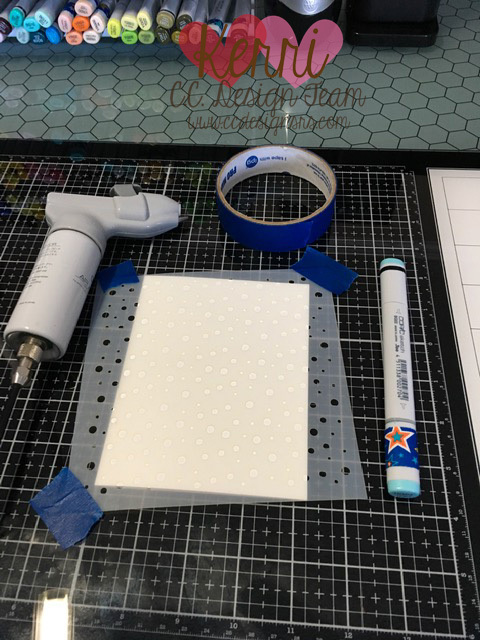 You can also load your marker into the Airbrush holder I used blue for the dots. When finished remove first stencil gentle and set aside now repeat the above steps again with second Stencil and color. 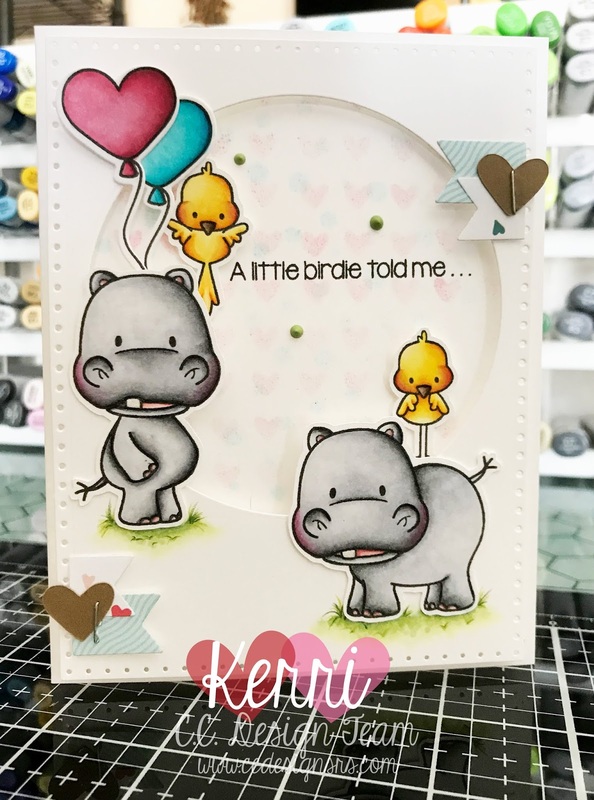 I used the stamp set called HIPPO BIRDIE TWO EWE colored up the pieces with Copic Markers and added shading with Prisma Pencils! I fussy cutout everything Stamped my sentiment onto card base. Boom here is all of the pieces put together!! This is one of my all time favorite sets!! This could be used for so many different occasions!! 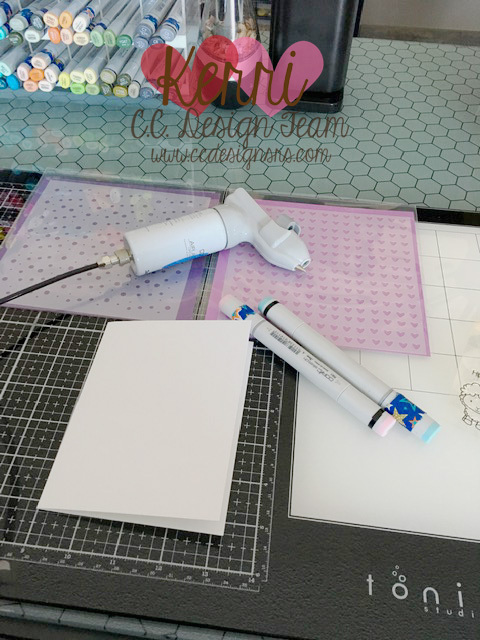 The Stencils along with the Stamp Set can all be found over at C.C Designs click on the link!! 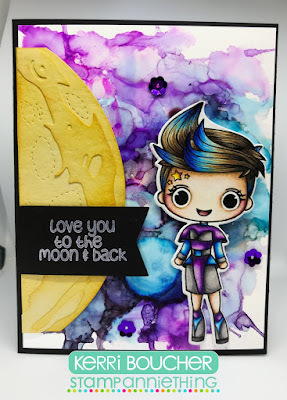 Stamp Anniething Theme Week Challenge!! I then added some sequins and the sentiment comes from this set as well. Thanks for stopping by all supplies STamp Set along with the Dies I mentioned above can be found over at STAMP ANNIETHING! Breakfast at Tilda's!! 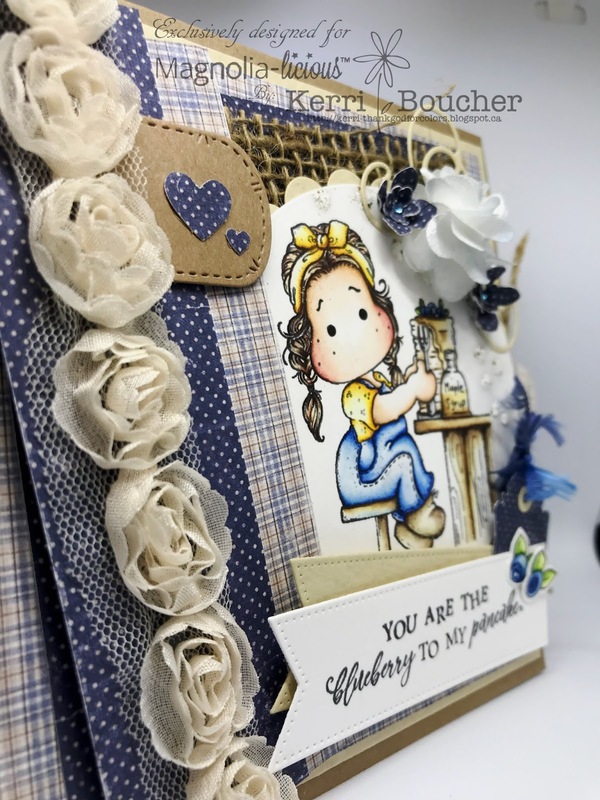 Exclusive to Magnolia-licious! I am very excited to share an exclusive stamp made from Magnolia Sweden for the store. This was something that I have always wanted to do for all Magnolia lovers around the world. 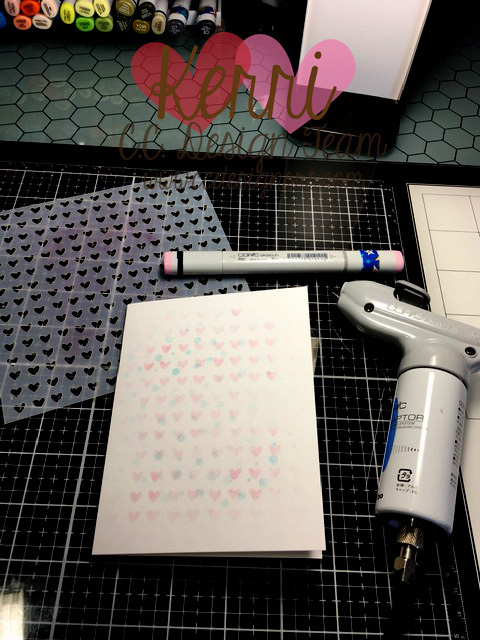 There will also be 3 give aways this week for this stamp. 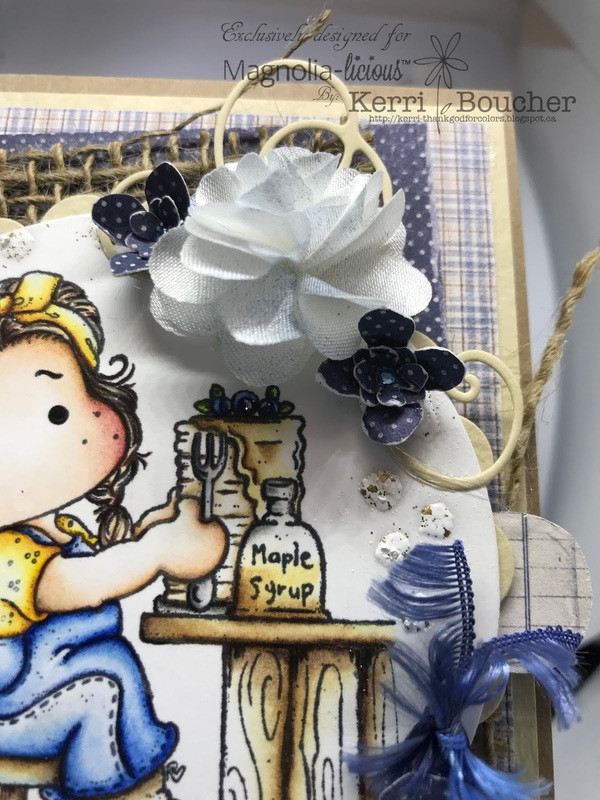 If you share and like this post your name will go in for a draw to win this stamp. 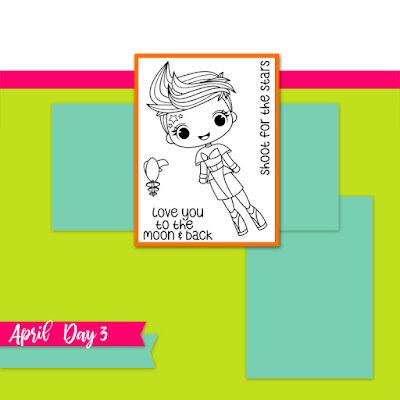 Day 3 Stamp Anniething Peeks! Ok lets meet LEAH-SHOOT FOR THE STARS. So I want you to meet BOW UNICORN DIE!! CUTE CUTE CUTE!! You get to build this guy awesome right!!! 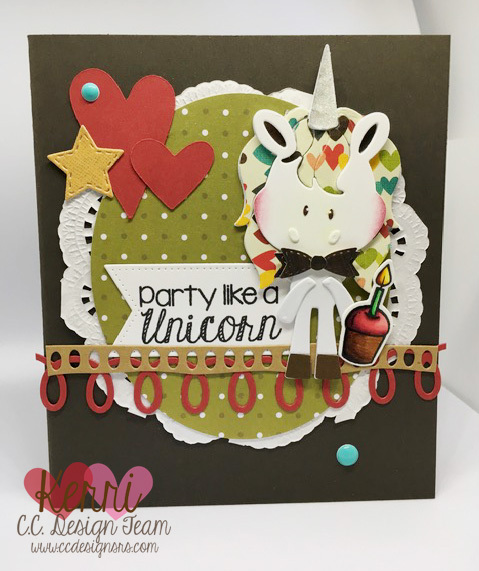 The cupcake cake is from the FOREST CREATURE BIRTHDAY SET and the saying is from PARTY UNICORNS. I also used Collage Trio Die set and In and Out Oval Dies along with HEARTS and DOTS paper pad!! 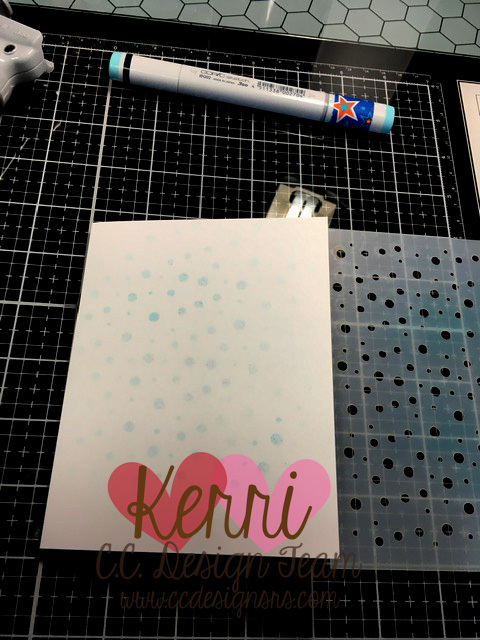 Those pretty blue dots yep New Enamel Dots love them!! All of the supplies I used for this card along with the NEW RELEASE and now up for grabs over at C.C Designs!! click the link below and it will bring you to the store. Thanks for stopping by!! 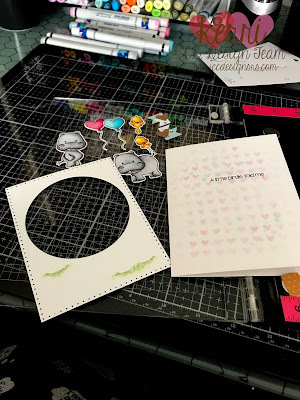 Day 2 Stamp Anniething Peeks! Day 1 of Stamp Anniething Peeks! !